Medical Device Mounts | ICWUSA.com Inc.
ICW now has a wide selection of medical device mounts. Many standard and custom configurations available for medical equipment in operating rooms, surgery centers, and hospitals. 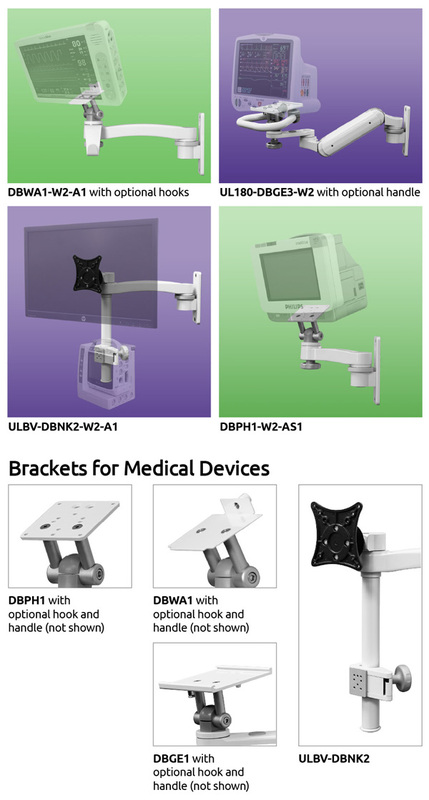 Select the components that meet your healthcare mounting solution needs for your desk mount, wall mount, ceiling mount, or medical cart. Complete ergonomic design and customization available on-site at our facility in Medford, Oregon.